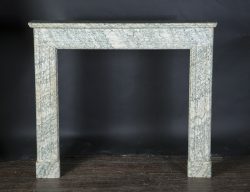 This unique Italian library table has beautifully carved legs in the shape of lyres. 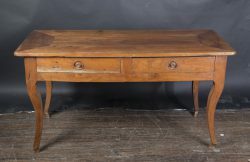 Made in the early 20th century out of walnut, the table is designed in empire style, has a top inlaid with walnut burl and edged with a checkerboard pattern of alternating wood, and has three drawers on one side. 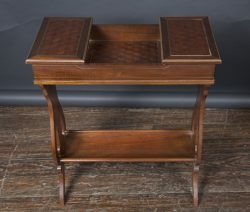 18th century Louis XV writing table with scalloped apron and one drawer on either side of a center drawer, with brass handles and knob on center drawer. 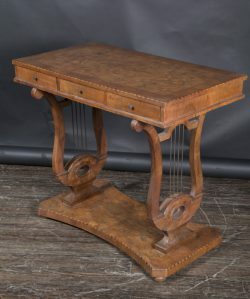 French 19th century Restauration walnut lyre work table with parquetry inlay top, hinged box on either side, and concaved bottom shelf. 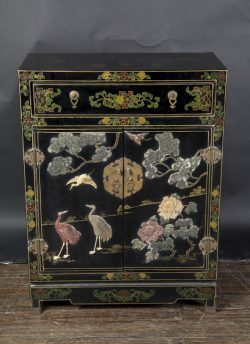 Chinese black lacquer cabinet embellished with stone carvings of birds, flora and fauna on both doors and sides, with one drawer and two doors. 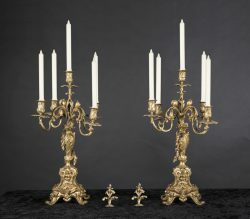 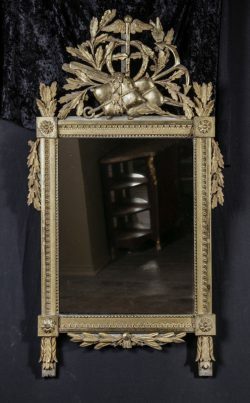 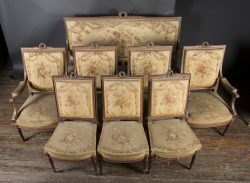 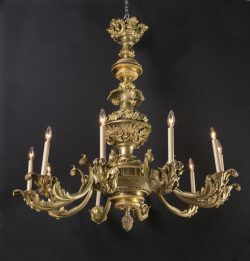 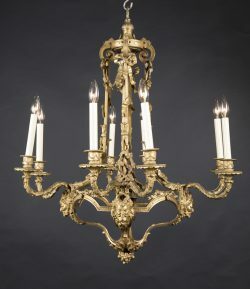 French 19th century Louis XVI bronze chandelier decorated with Bacchus motifs.